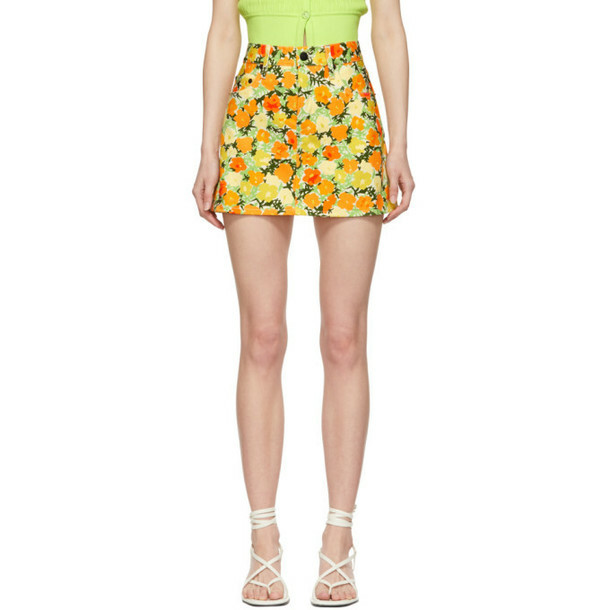 Non-stretch denim miniskirt in white featuring multicolor floral pattern throughout. Mid-rise. Five-pocket styling. Belt loops at waistband. Button fly. Tonal stitching.